Van Brunt Stillhouse has been making artisanal spirits in Red Hook Brooklyn since 2012. Although the distillery's first bottling was a rum, a range of whiskeys is now at the core of their production. Using New York-grown corn, rye, barley and soft wheat that the grind themselves, Van Brunt Stillhouse offers four whiskey bottlings that each express a different dynamic between the grain, the still and the charred new American oak barrels that the whiskey ages in for two years. 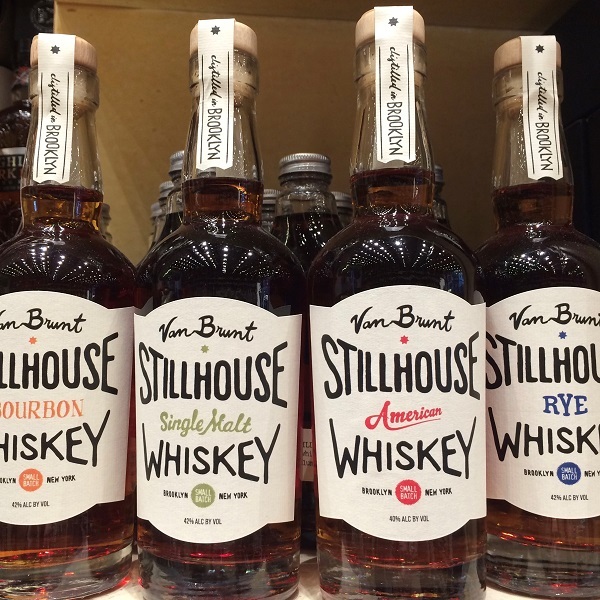 Van Brunt's American Whiskey is made with all four grains, with an emphasis on wheat and malted barley. Their Malt Whiskey is 100% malted barley in the Scottish tradition and their Bourbon puts corn at the center with wheat in a supporting role. Rounding out the range is a classic, spicy Rye Whiskey.